DYK? Seattle is in the top five for most literate cities in America (and has been for years). With that reputation comes a vibrant book club community, but mind you, you don’t have to limit yourself to what Oprah is reading. Boozy book discussions, meetups for the current event-minded, groups for ladies who like comics—the city has it all. So dig out (and dust off) your library card or charge your e-reader; here is our roundup of the city’s best—and most unique—literary groups. Books inspire song. So says the Bushwick Book Club, a Seattle group that debuts original music performances inspired by each session’s chosen book. Sponsored by the Shunpike Arts Collective, the Club is actually a non-profit, inviting the community to participate as a way of increasing musical literacy awareness. Their sixth season ended in early summer; season seven begins in September 2016. At one time or another, after reading a book, we’ve all wished we could pick the author’s brain about what they wrote. With UX Book Club, your wish is granted. At the end of every month, the group hosts hour-long virtual Q&As (via Google Hangout) with established tech authors from the tech industry, combined with free drinks and book giveaways. Book topics range from user experience to behavioral psychology to information architecture. The next meetup is June 26, 6-9 p.m., which will feature a discussion about Cadence & Slang with author Nick Disabato. If you prefer to discuss books from the comfort of your couch, you should probably check out the Seattle Museum of Art’s blog, where once a quarter, they share thoughts about a selected art-related title. You can join others in the comment section to discuss, thus getting your art and literary fix. Look for the next discussion in the fall. Into sci-fi novels? There's a book club for that. Is your only semblance of down time on your daily commute? Well, lucky for you, there’s a book club for people like you. Transportation Choices Coalition's Books on the Bus is a program with the commuter in mind. With an emphasis on PNW authors, the group selects a book every three months for riders to read. Discuss the selection with a seat mate, or discuss together at a group-wide event after each three-month period. Commute by ferry to Bainbridge? 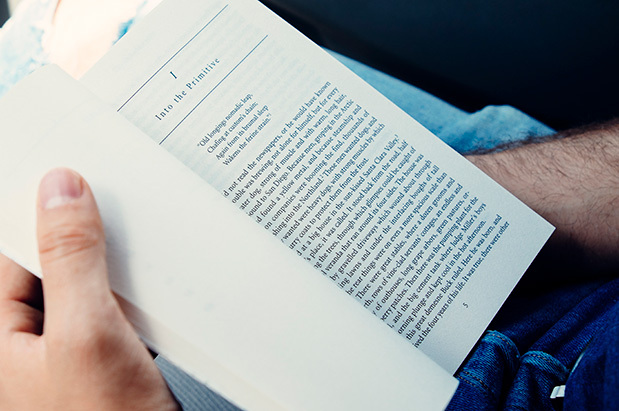 On August 11, the Ferry Tales on-board book group is meeting during the 4:40 Seattle to Bainbridge ferry crossing to discuss the monthly title How to Read Novels Like a Professor by Thomas C. Foster. You've got your finger on the pulse of breaking news, and Elliott Bay Book Co. has your ideal club. The Global Issues Book Group meets on the second Tuesday of each month, gathering to talk topics of universal concern. On August 9, the group will meet to discuss Galileo's Middle Finger: Heretics, Activists, and One Scholar's Search for Justice by Alice Dreger. Like books but not into organized group discussions about them? The Silent Book Club, through various chapters, offers the joy of BYOB reading without the typical book club “homework.” Come to the monthly meeting (Seattle is one of the group’s new chapters) to enjoy books, friends and wine (or beer, coffee or other treats)—stress free. Group meets from 5:30-7:30 p.m. on the last Monday of the month at Shug's Soda Fountain. Another Silent Reading Party is held in the Hotel Sorrento Fireside Room on the first Wednesday of each month, 6-8 p.m.
It’s not exactly an organized club per se, but it could be. If the kinds of books you enjoy are the recipe-filled kind, you can attend Book Larder’s Author Talks, free events featuring book discussions with food writers. Get a group of friends together and visit the store this month and next for discussions about Theresa Carle-Sanders’ Outlander Kitchen (July 27) and Tessa Huff’s cake guide Layered (August 2). Want more books in your life? Perfect. There is a book group in Seattle for every taste. You’re all about sci-fi, and so is the group that meets monthly at Ada’s Technical Books. The 21st Century Science Fiction Book Club meets for community and conversation about the latest in the genre; on July 26 they’re delving into Pierce Brown’s Red Rising, and on August 23, Ancillary Sword by Ann Leckie. But that’s not all; the shop also hosts separate book clubs revolving around the topics of classic science fiction, the history of discovery, user experience, graphic novels and computer science. The Seattle Feminist Book Club explores the topic in their focused readings, examining its intersection with pop culture, feminist novels and theory. The group’s goal is to engage in feminist critique and examine conflicts and disagreements within feminism. Their meetup August 5 includes a discussion about Shrill, the memoir by Seattle-based writer, Lindy West. They’re not just for gaming nerds or your little brother. The Seattle Ladies Comic Book Club invites all who identify as female (and love comics) to join in discussions about the latest literary cartoons. The group next's meetup on July 21 involves a discussion about Decrypting Rita vol. 1. Want more mingling? There’s also a coed group. Like book clubs of the more standard variety? You can find many a local book club at various SPL branches.